PT Toyota-Astra Motor - TAM or known as "Toyota-Astra Motor" a leading privately-owned company in Indonesia, running business in automotive industry. Toyota-Astra Motor operates primarily as a sole distributor of all Toyota and Lexus brands in Indonesia. Toyota-Astra Motor engaged in the field of distribution and import of Toyota brand vehicles in Indonesia. PT Toyota-Astra Motor is a multinational joint venture company between Indonesia PT Astra International Tbk (Astra Group) and Japan Toyota Motor Corporation (TMC). As today, Astra Group holds 50 %% shares in Toyota-Astra Motor and 40% remaining shares was owned by TMC. JobsCDC.com now available on android device. Download now on Google Play here. Please be aware of recruitment fraud. The entire stage of this selection process is free of charge. 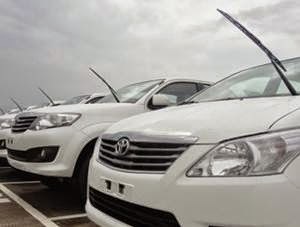 PT Toyota-Astra Motor - D3, S1, S2 Development Program TAM Astra Group February 2019 will never ask for fees or upfront payments for any purposes during the recruitment process such as transportation and accommodation.